The name comes from the Old English 'breorht' meaning bright and 'maed' or 'mead' meaning meadow, so making bright meadow. The early spellings vary from Brihtsmete or Brihmete in the 13th century, but by the next century it was Breghmete and later still Breghtmeyt. Among locals, the pronunciation varies, most popular is 'breat-met' or 'brake-met' although some say 'bright-met'. Withins Leisure centre is located here and can be contacted on 01204 395980. North and west is Thicketford Road, west takes you to Haulgh, or onto Bury New Road. South of here, past Leverhulme Park is Darcy Lever. South west is Little Lever. This ultimately leads through Radcliffe to Bury. 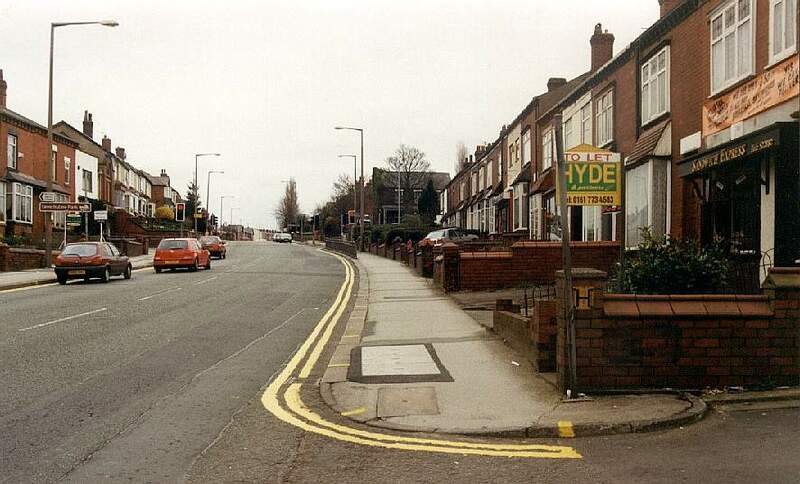 At the top of this picture on the right, Long Lane leads to Leverhulme Park. This leads towards the Haulgh. The tower of St. Peter's in Churchgate can be seen in the distance. 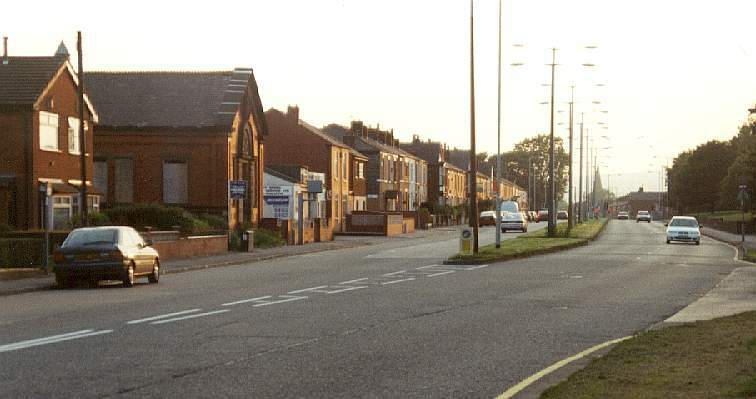 Towards the Long Lane junction. There is a site for Breightmet at http://www.breightmet.co.uk/. Please email the webmaster to request additional depth, detailing what you want to see.